Cambridge Bio-Augmentation Systems highlights that there are 32 million amputees worldwide, many of whom are unable to get a prosthetic to help them walk, carry objects and play sports. While prosthetics technology has been improving, many amputees go through a lot of pain and debilitating costs to connect their limbs to prosthetic devices. “There are people who fly to Australia for this discontinued research implant that people are trying to buy. It comes with loads of infection risks...People are doing that even though it is incredibly dangerous and expensive,” says Oliver Armitage, a PhD student at Cambridge University and co-founder of Cambridge Bio-Augmentation Systems. “At the moment these amputees say they don’t want to use their current prosthesis for half the year because they hate these things. 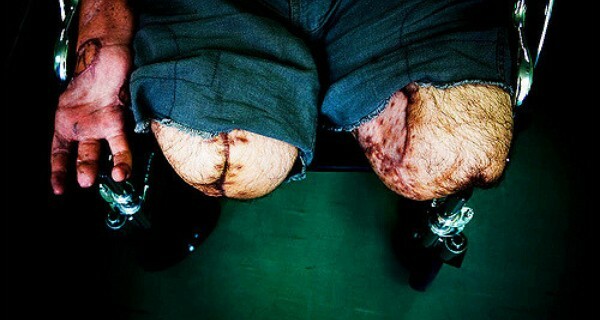 Wearing a socket feels like walking around inside a sea shell,” he adds. Ever since he was 17, Armitage dreamed of making bionics. As his studies progressed, he learned that lack of standard connectivity was a huge obstacle for amputees. While we’re used to connecting devices by USB or wire, no such mechanism exists for prosthetics. Cambridge Bio-Augmentation Systems aims to develop a standard connection between bionic devices and neural and soft-tissue systems within the body, so that putting on, taking off and exchanging prosthetic devices is seamless and painless.